Walking through an office today, you’re likely to hear the clicking and clacking of keyboards, but the noise is nothing compared to how loud typewriters were. In an office full of people typing, the sound could be almost deafening. That’s why “noiseless” typewriters were such a welcome invention. 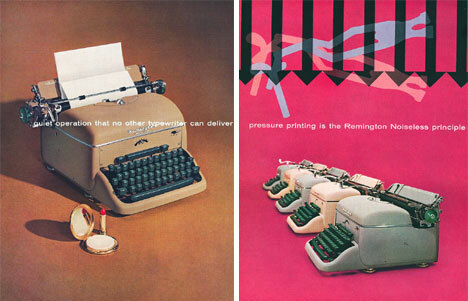 These fascinating pictures are from a 1950s brochure for Remingon’s line of Noiseless typewriters, shared on flickr by user AnnieBee. 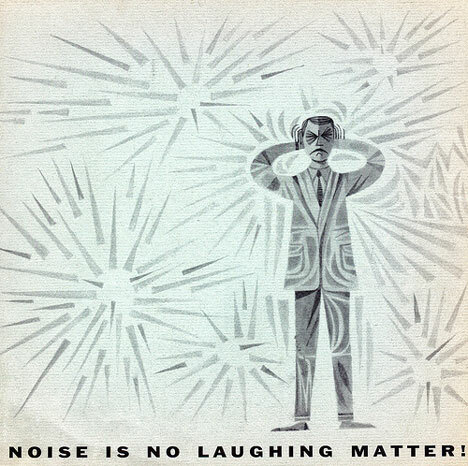 The Remington Noiseless brochures were filled with quotes about how terrible noise is for those who are around it constantly. 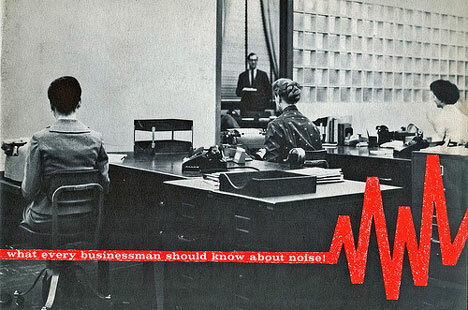 Constant noise can cause insanity, warned the literature, so people who worked in noisy offices were more susceptible to madness. 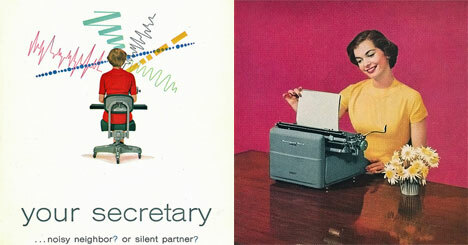 The remedy, of course, was to replace the office workers’ loud typewriters with Remington’s quieter models. The secretaries will be happier, the boss can keep his sanity, and office conversations can return to a reasonable volume. Aside from featuring some truly beautiful vintage typewriters, these graphics return us to the golden age of print advertising. The layouts are classic and smooth, with all of the elements we love about 1950s design. Who knows if the typewriters really were noiseless – what’s important now is that we have an outstanding reminder of their marketing material. See more in Aged Adverts or under Vintage & Retro. June, 2010.